Arunachal Pradesh Chief Minister Pema Khandu. File image. Arunachal Pradesh government is considering to grant permanent resident status to six non-APST (Arunachal Pradesh Scheduled Tribe) communities including Adivasi, Moran, Deori, Missing, Kachari and Ahoms inhabiting the hill state mainly in Changlang and Namsai Districts. It was informed by the state Chief Minister, Pema Khandu while taking part in PEE MAU TAI celebration at Nalung in Namsai this morning. khandu was accompanied Deputy Chief Minister Chowna Mein along with a host of Ministers, MLAs, and top brass of the Civil and Police administration. 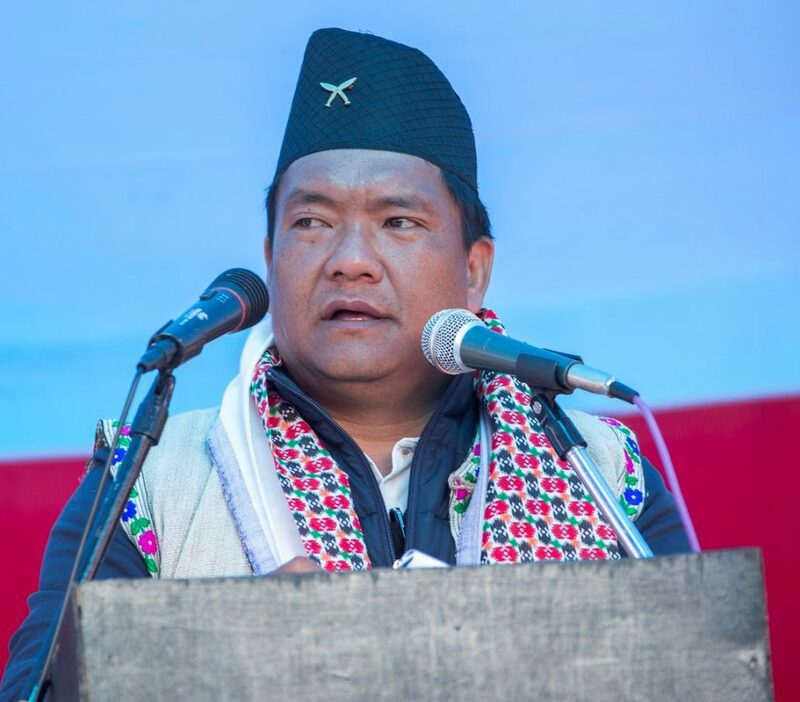 The CM said a sub-committee under Environment and Forest Minister Nabam Rabia had been constituted afresh for determining the final deliberation of the permanent resident certificate (PRC) and we are expecting the report soon so that the process might get started in the New Year itself. “Keeping problems and issues alive for long may prove detrimental for the society in long run and the state might face constant unrest and law and order situation paralysing the normalcy and hindering the pace of overall development of the state,” he said. The Deputy Chief Minister Chowna Mein said ‘PRC is a genuine pre-requisite for individual and social development and I have been taking care of it exclusively considering all parameters over a period of time and finally the day has come wherein I would be the happiest to distribute the first copy of the said document to my people in Lekang’.